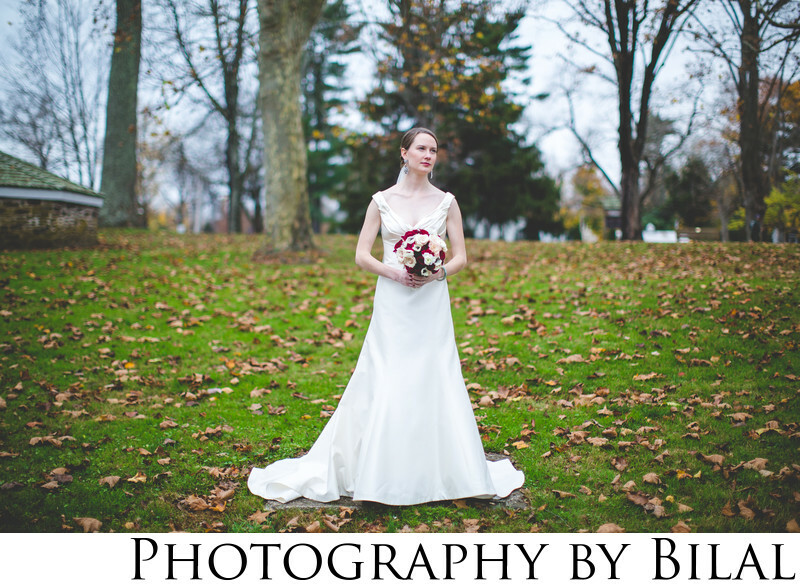 I took this bridal portrait in late fall, as you can probably tell by all the leaves on the ground. The leaves in my opinion do add an artsy touch to the photo. This image was shot at a wedding in Washington Crossing Park, PA.